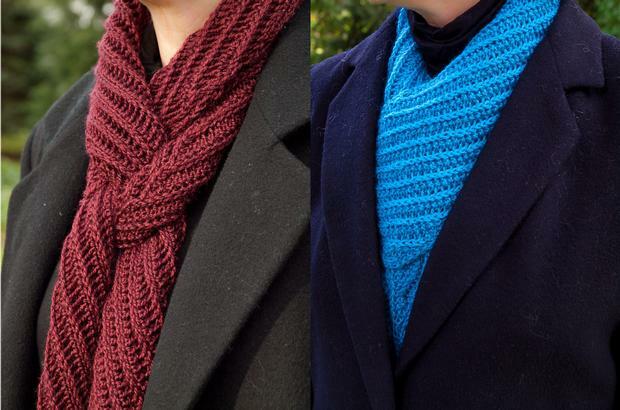 This pattern includes two versions of a Bias Rib scarf. The bias rib in the scarf is a reversible rib stitch on a garter stitch base with a slipped stitch forming the raised rib. Both scarves are very stretchy and very long but the Palette version is just a bit more well behaved. 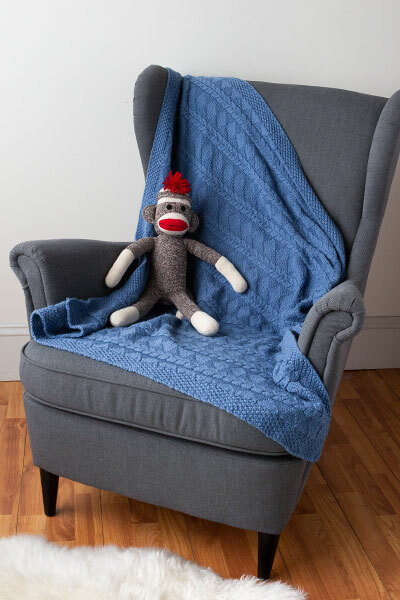 It is a slightly firmer knit with a more defined selvage and not quite as much stretch. The Galileo scarf has a soft selvage and the scarf is very stretchy. 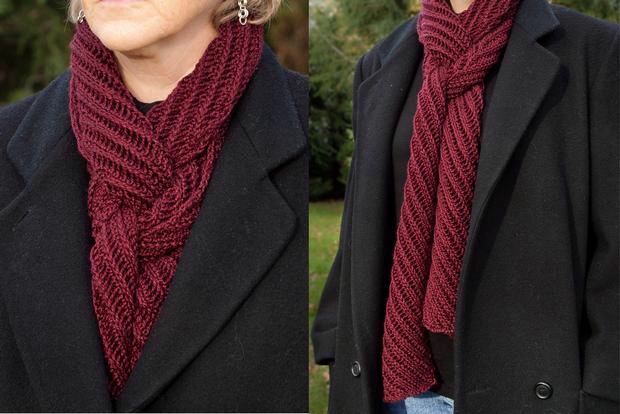 These scarves are narrow and can be twisted, wrapped and knotted and still have nice long tails to tuck into coats or to drape down front or back. 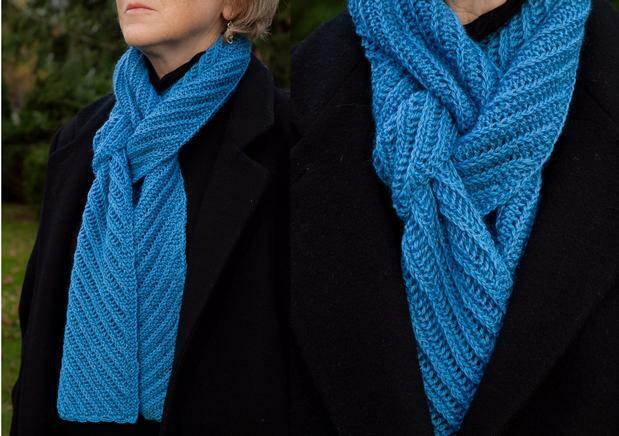 Palette Scarf as shown (in blue color Whirlpool) uses a little less than 3 full balls, so the scarf can be knit longer than shown. Laid flat it measures 6x68" and when draped around the neck, about 5.5 x 78". 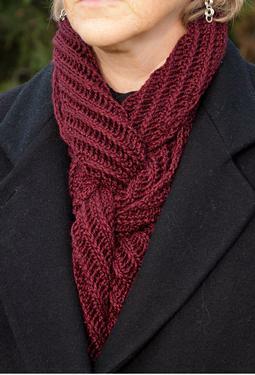 The Galileo scarf as shown (in dark maroon color Quartz) uses 3.5 balls so it also can be knit longer. Laid flat it measures 72 x 5.5" and hung around the neck, about 84 x4". The pattern is written out not charted as the rib repeat is only 5 stitches. The beginning and ending of each row differs as the rib moves in a diagonal manner and repeats over a 10 row repeat. 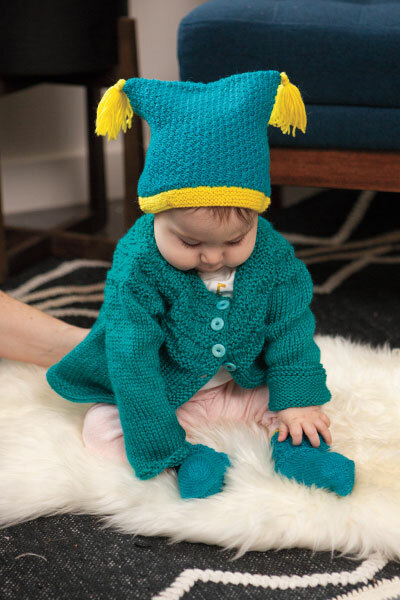 The Galileo version uses size 6 and 7 needles and the Palette version uses size 5 and 6 needles. For the interesting knot, search on line for Jennifer Moore ties one on youtube.com.